Hi would you still have. 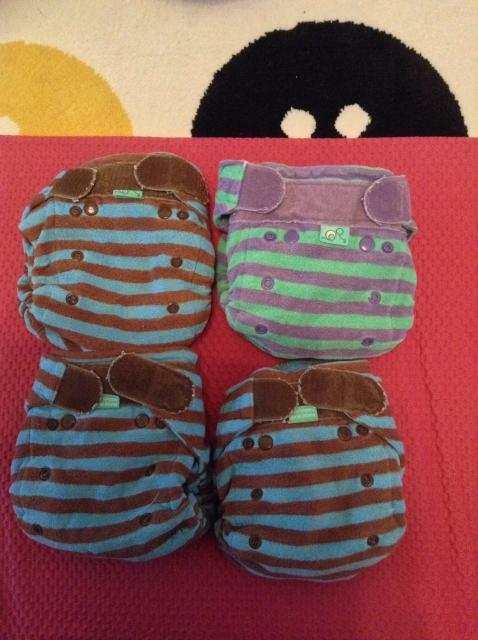 2 little lamb size 2, 2 bamboozles (same colour as each other preferably), the hedgehog liners, and the monsters wrap? That's fine, send me the best ones! Zanarie wrote: Hi would you still have. 2 little lamb size 2, 2 bamboozles (same colour as each other preferably), the hedgehog liners, and the monsters wrap? The bamboozles and wrap are pending but I should be able to pass on tonight if the other person doesn't get back to me. I am guessing you may be sorted now but I am giving up on the other lady (not on here) the monsters wrap is available with one blue bamboozle and one green. The green I showing more signs of wear though around the edges. If you zoom in on this photo you may be able to see around the Velcro. If you still have them. Would you do the 2 bamboozles, the wrap, and the green shorties for 20 all in?